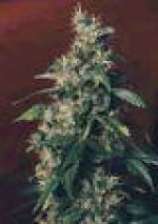 "60 Day Lemon" from "DNA Genetics Seeds"
Information about taste, aroma and effect of this variety. Where it has been grown? ...you have grown this strain with an adequate equipment! DO NOT select if you used (par example) your grandmothers redlight-lamp, if you had your plants onto your window board, if you used tomato-nutrients out of the building supplies store or if you dont had an real Exhaust-Air-System! Please ONLY ADD these Information if you used at least an adequate lightning, exhaust and environment for your plants!